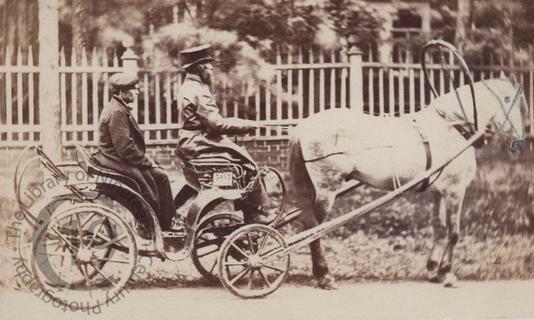 An outdoor carte-de-visite showing a horse-drawn open carriage. I think the number plate on the side of the driver's seat indicates that this was a hackney carriage available for hire. Some crude retouching marks on the original negative in the area of the horse's head suggest the shape of a bridle. Photographed by J. Monstein of St Petersburg.